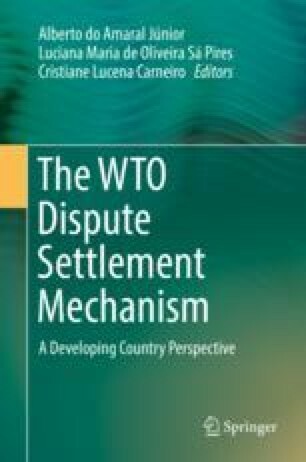 One of the most important features of the WTO dispute settlement is the use of trade sanctions as a means of promoting compliance with the WTO decisions by Member States. Member States that were injured by the refusal of another Member State to comply with WTO decisions can be authorized to exercise countermeasures against this State. WTO rules regulate the conditions and limitations on the taking of countermeasures by an injured State. The focus of this paper is more circumvented: the role of the principle of proportionality in the WTO discipline on countermeasures. As we try to demonstrate in this paper, the principle of proportionality influences the amount and the type of the countermeasures. WTO arbitrators, however, have not applied correctly this principle. In particular, WTO arbitrators have failed to take into account the economic difficulties of developing countries. Moreover, they have adopted a very strict approach in analyzing cross-retaliation. This strict approach is not compatible with the single undertaking underlying WTO agreements.